Their important accomplishments, a historical coincidence and current public fascination with major anniversaries recently produced attention to Presidents Abraham Lincoln and John Kennedy. Within one week, we recognized the 150th anniversary of Lincoln’s “Gettysburg Address” and 50th anniversary of Kennedy’s assassination. Leading up to the anniversaries, I thought: How can we help young people learn about these events? First, and most important, it’s vital to recognize progress from the time each of these men lived. Unquestionably, America faces huge challenges. But this country has dramatically expanded opportunity and living conditions since the time of Lincoln and Kennedy. We have astonishing new inventions and discoveries that enrich our lives. It’s easy to be disillusioned or pessimistic. But if we look, there are many examples of progress since Lincoln and Kennedy led the nation. Young people often need our help seeing progress because they generally lack perspective. They haven’t lived during times when, for example, African Americans were not allowed to vote or had their lives threatened if they tried to do so. Young people haven’t seen bathrooms that were designated “men,” “women” and “colored.” Some of us alive today (including me) have seen these things. America is better now. Second, even the greatest leaders require assistance. As Reinhold Niebuhr, a prominent Protestant leader, wrote, “Nothing we do, however virtuous, could be accomplished alone.” The Civil War was won not only because of Lincoln, but also because thousands of people were willing to fight and die. Russian missiles were removed from Cuba and nuclear war was avoided not only because of Kennedy. Others helped him develop and carry out successful strategies. Many civil rights advances that Kennedy worked on were not finalized until after his death, in part because of the skill of Kennedy’s vice president, Lyndon Johnson. Johnson was a master at working with Congress when he became president. Third, words have enormous power. Kennedy and Lincoln live on not only because of their actions but also because of their eloquence. Though many other lessons are possible, I’ll end with another of Niebuhr’s insights: “Nothing that is worth doing can be achieved in our lifetime.” I’d add one word to this: Nothing worth doing can be achieved completely in our lifetime. We build on the work of others who came before. Others will use and modify our greatest scientific and social accomplishments to help move things ahead. On various social media during the past week, people asked, “Where were you when you heard Kennedy was shot?” It’s the kind of question that comes up only a few times each generation: “Where were you when you learned New York City’s World Trade Center towers were attacked?” “Where were you when you learned the U.S. had elected its first African American president?” Those are interesting, personal connections to history. One thing we can do with and for young people is help them think creatively and constructively about history. The coincidence of these 50th and 150th anniversaries gives us that opportunity. Joe Nathan, formerly a Minnesota public school teacher, administrator and PTA president, directs the Center for School Change. Reactions welcome, please comment below. Should be required reading, especially for those young among us who can take up the torches of positive change in our world. I particularly liked you comment about the need for each of us to add to the incremental changes of betterment in our lives. I believe we are all here to try to leave this world the better for our presence. Kennedy reminded us we must never give up our hope for this betterment. One reason, historians tell us, that he loved watching the musical “Camelot”, was the enduring hope in it, even at the most dire of times. Very well said. One of your best writings. Thank you for such a succinct, insightful, and optimistic message. Loved your article today. Helping young people, and really all of us older people too, have perspective and long term thinking is so valuable when we are tackling big social issues. Echoing Tom and Bryan, this is a concise and valuable piece. But I was also inspired to add my 2 cents based on your three points. 2. “Even the greatest leaders require assistance.” While individual standouts do exist, but generally speaking, even the greatest stars of history have had a supporting cast or a loyal opposition which pushed them forward. 3. “Words have enormous power.” Did I mention good, bad, and ugly? Words move us, anger us, lift us. It is not merely the speaker or how they spoken, but a combination of forces that converge. Again, great piece Joe. Really appreciate your thought-provoking, yet rational insights. Best always. Thank you, Joe. Well said. So well and succinctly said. Thanks for the reminder. This is a very nice post and I appreciate the attention on how America has improved. Well done. Very enlightening! Thanks for sharing! Love what you say about great things not being accomplished in isolation. It is about teamwork and collaboration. As school leaders we need to remember the power of the team. The ‘perspective’ piece is huge, and the explanation behind many a miscommunication between parent and child. Of course, we can always try to help our kids increase their understanding and historical context, but so much of our culture crowds out the quality lessons. For example, during the week in which Constitution Day (9/17) was observed, the download of Apple’s IOS7 overshadowed that. And this week, my kids report no mention of the Gettysburg Address or Kennedy anniversary at school, yet the release of Hunger Games: Catching Fire has been the talk for weeks. We are creating a generation that is almost intentional in its disregard for the stories of those on whose shoulders we stand. Joe – very nice column! As I read through it I kept thinking how will the kids in schools get your information (or isn’t that one of the goals) ?For those readers who are principals, can we trust that they will automatically pass this information on to their teachers who will pass it on to their children. Now, I know you have a diverse audience, but writing part of it toward student might help administrators pass it on. Or that might be an addenda at the end of the letter. Interview grandparent, parents, etc, about where they were when Kennedy was shot and jot down their feelings and reactions. Invite/volunteer yourself as a resource person to class a to talk about the above and especially to talk about the changes in which African Americans lives changed over the years. You could have them put together their findings and send them on to you – which would give them a “voice” and give you a short book after three years! Now, Joe, don’t listen to me. My mind just works this way. It is very useful information – but is it just to update your readers and/or to have some more direct impact on learning? But then perhaps this is a newsletter that transcends the classroom and is made available to all who will read it just for the information’s sake. The main point is that I enjoyed reading it! Joe, nice column and great food for thought. I thought it an interesting juxtaposition to have read your column and at the same time the MinnCan report on Native American high school graduation rates in Minnesota (available at http://minncan.org/research/native-american-student-achievement-minnesota). Look at the one graphic on page 5 comparing Minnesota achievement for Caucasians and people of color compared to national averages. From a particular perspective “unfinished work” should have been the appropriate message of your column, not just at the end, and not just as the poetic requiem from which it was quoted. It should have been an stern and firm admonishment to Minnesota – racism, though underground, is extremely intense in our state, and in the realm of education, rivals all others and we need to do something about it. 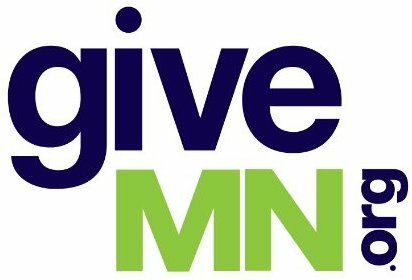 Whether accentuating the positive or the “unfinished business,” we meet on the common ground of advancing the cause of education in Minnesota so as to live into our positive reputation as an enlightened civilization, as opposed to being castigated as pretenders covering up a malodorous truth with an overstated emphasis on successes.